Hello! After a week of holiday, Three Good Things is back for the usual dose of positivity amidst a busy week. It’s a pretty brief post this week, because I’m still recovering from a week in a yurt (which I’ll tell you more about on Friday) and am surrounded by laundry that I really should do something about. 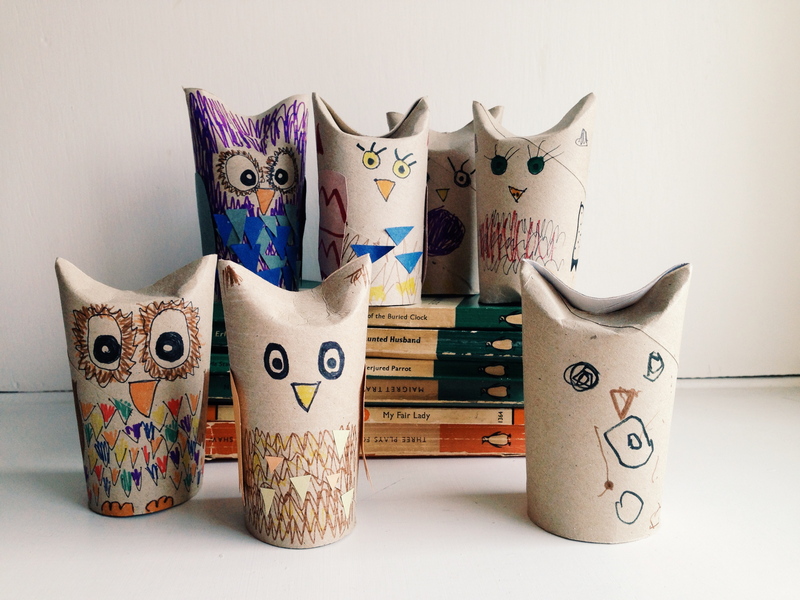 A Parliament of Loo Roll Owls! Second up this week is a new cheese, discovered by me, and lots of other people, during a tour of the Wensleydale Creamery on our holiday. It’s called Bishopdale, and it’s a cheddar. But, oh what a cheddar. Utterly gorgeous. Sadly, only available from the Creamery shop, not even online. So, a regular trip to Hawes is going to be needed. Ah well. Any excuse for a trip to the Yorkshire Dales! Alas, I have no photo to share with you because I’ve eaten it all. Sorry about that. But you can all imagine what a block of cheese looks like, can’t you? My third thing this week is the most utterly perfect toy I’ve ever found for my son. Like many young boys, my son is a huge fan of farms. Tractors, combine harvesters and other machinery feature high on his list of loves. But absolutely top of the list is grain silos. I know. Don’t even ask. I have no idea why. Before our holiday last week, I told the kids that, rather than buying loads of holiday rubbish, I’d buy them one decent toy each. And my son wanted a toy grain silo. Cue a spot of panic, until I came across the Playmobil catalogue and lo and behold, a grain silo. Thank goodness for Playmobil! Now, if this was a weekly ranting post, I’d tell you all about how it comes with a bag of teeny, tiny plastic grain that gets spilled all over the floor every time he plays with it, and that are soon to be put in the bin and replaced with red lentils that I can just vacuum up. But its not a ranting blog post, so instead I’ll concentrate on telling you that he loves his grain silo so much that he takes it to bed with him alongside his toy monkey. And that makes me very happy indeed. 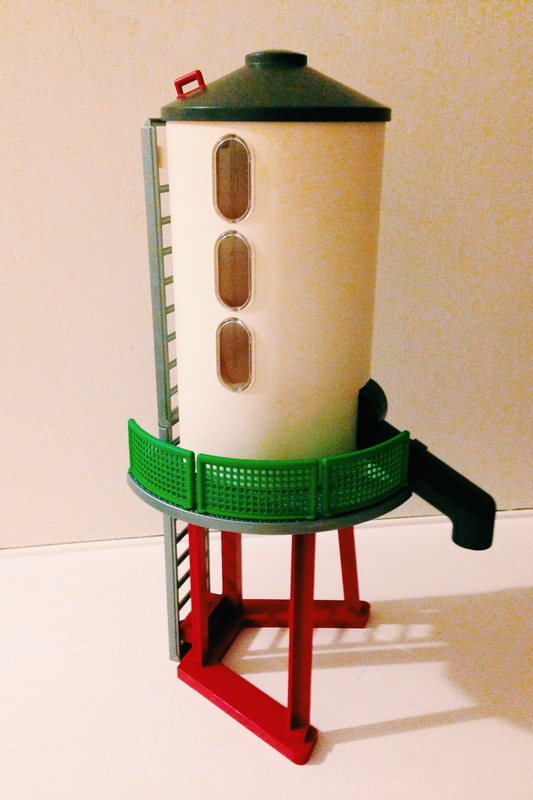 Toy grain silo. I know, its weird, but he loves it! So, those are my Three Good Things this week. What are yours? Don’t forget to visit Hello Kirsty and Mummy Plum to see what they’ve chosen as their Three Good Things this week too. I love collective nouns too – your parliament of owls look great.